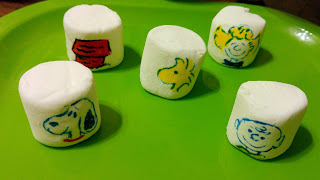 These fun marshmallows are perfect for hot cocoa, topping cupcakes or just popping in your mouth! Who wouldn't want to see some of their beloved characters in a cup of cocoa? 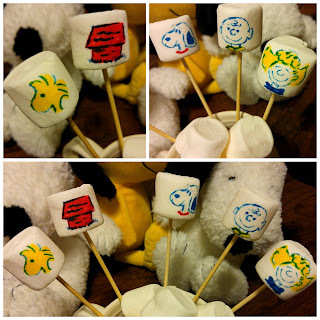 These are super easy to make and all you will need is marshmallows and food safe markers. 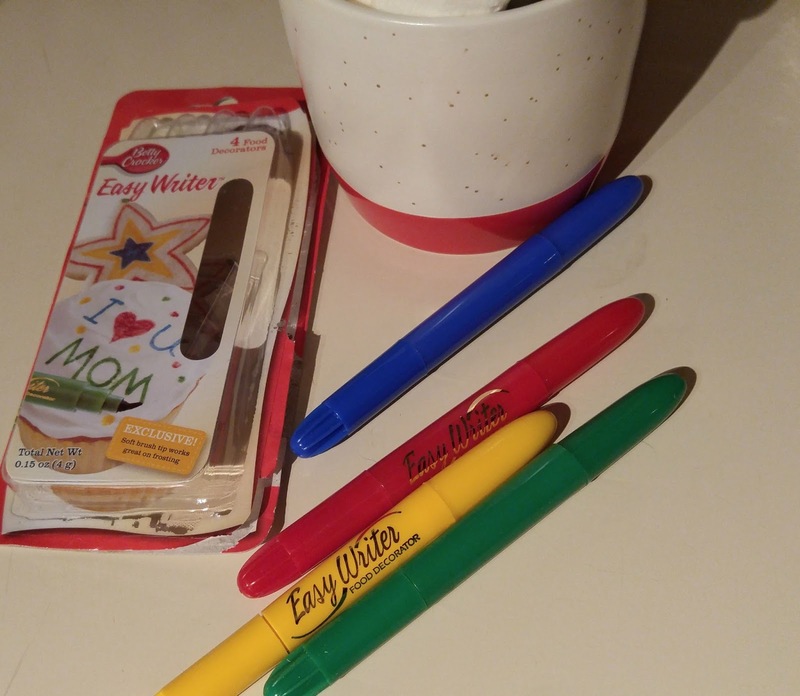 I picked up this four pack of pens that came in red,green,blue and yellow. The set was under $5, if you go to a craft store, you can get larger sets with more colors. These markers have a nice soft tip which is perfect for marshmallows! Since I only had four colors, I used the blue as the outline. For most of the marshmallows, I colored first and then outlines. So I made the Woodstock shape with yellow and then the blue to highlight the details. It was pretty easy to to and if you make a mistake...eat the marshmallow real fast and no one will know! Every underdog has his day in this fun, family film as good ol’ Charlie Brown, Snoopy, Lucy, Linus and the rest of the beloved Peanuts gang appear as you’ve never seen them before - in a brand-new feature film from the imagination of Charles M. Schulz and the creators of Ice Age. 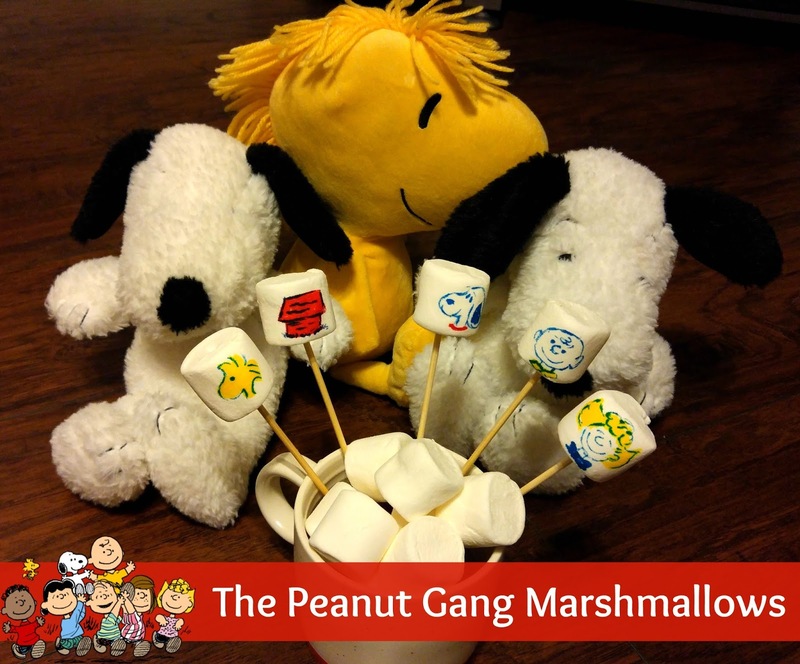 Join everyone’s favorite eternal optimist, Charlie Brown, as he embarks on a heroic quest, while his beagle pal Snoopy takes to the skies to pursue his arch nemesis, the Red Baron. It’s a hilarious and heart-warming adventure!